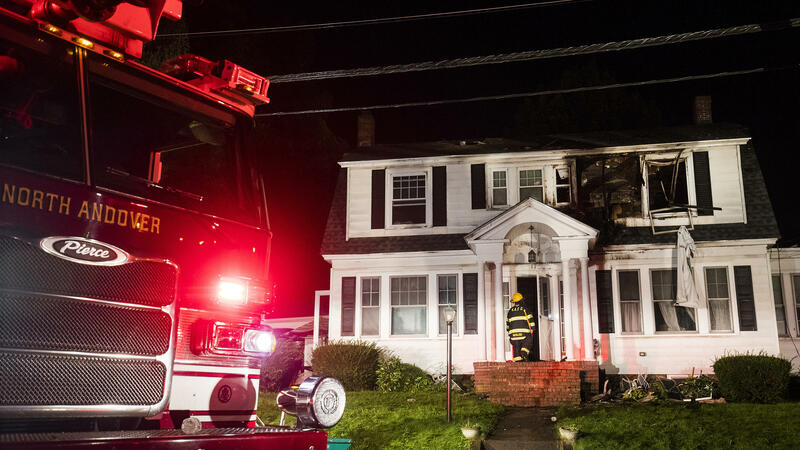 Firefighters battle a house fire in North Andover, Mass., one of a series of fires and explosions on Thursday thought to have been triggered by a gas line that feeds several communities north of Boston. Firefighters inspect a home after gas explosions on Thursday in North Andover, Mass. Gas explosions in three communities north of Boston left multiple homes on fire. Federal authorities have opened an investigation into a series of explosions that set off fires in several small towns in Massachusetts on Thursday night, killing one person and injuring several others. The National Transportation Safety Board announced Friday that it is sending a team to investigate "what certainly appears to be multiple explosions involving a natural gas pipeline." An estimated 8,000 people have been displaced, according to local officials. Fred Thys of member station WBUR reports that residents may not be able to return home until Saturday. 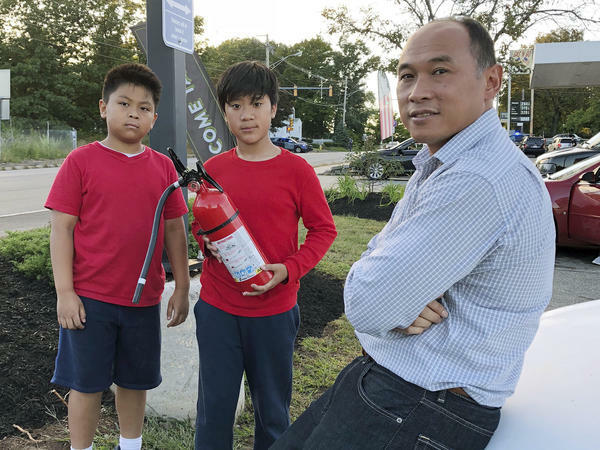 Massachusetts State Police have confirmed that officials responded to 70 house fires, explosions or reports of gas odors — possibly caused by gas leaks — around the towns of Lawrence, Andover and North Andover on Thursday evening. "Columbia Gas has not said what went wrong," Thys reported Friday. "State emergency management officials say 'possible gas line over-pressurization' could be the cause of [the] explosions." 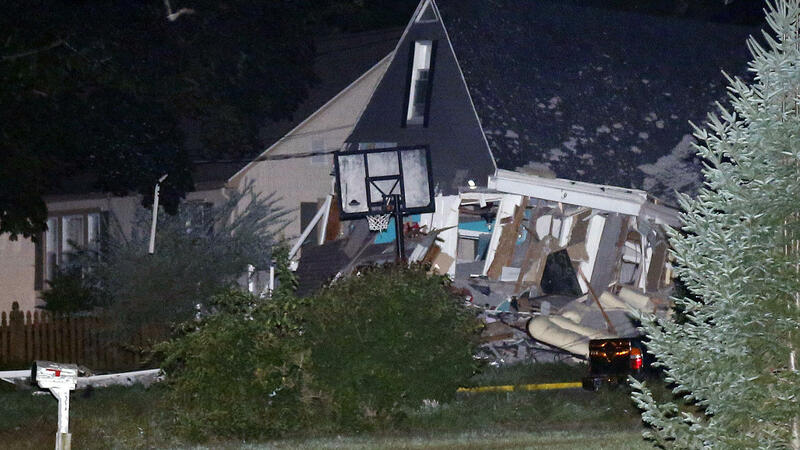 An 18-year-old man died when a chimney that had been toppled by an explosion fell on his car in the city of Lawrence, according to the North Andover newspaper, The Eagle-Tribune. The newspaper said 10 people were injured in the gas explosions; however, Lawrence General Hospital reported earlier that 13 people were receiving treatment there. Officials at the hospital said in a tweet that injuries included smoke inhalation and blast trauma and that one person in critical condition was transported to a Boston trauma center. At least three people have been injured in Andover, including at least one firefighter, town officials said in a state police said gas lines were being depressurized by the company but warned the process may take some time. Gov. Charlie Baker said, "The depressurization of the lines in the shutdown was designed to ensure that there would be no more fires this evening," although he added firefighters would continue to extinguish fires throughout the night. State Police troopers and local police helped evacuate residents. Off-ramps into the towns were closed while on-ramps remained open to allow residents to get out of the affected areas. At one point, Methuen Police Chief Joseph Solomon told USA Today there were so many fires, "you can't even see the sky." "Holland, a 35-year-old mechanic in a wheelchair, said she had just gotten off a bus returning home when she saw 'a big flash of light' at the house where she had been renting a room for a month.
" 'Good thing I wasn't home or I wouldn't be talking about it,' she said outside an elementary school in Lawrence that the Red Cross had converted into a shelter for about 170 people." NPR's Tovia Smith spoke to resident Elaine Almquist, who said she felt powerless. "I could see smoke, helicopters, fire trucks, police cars, just constant sirens — my city's literally burning to the ground," Almquist told Smith. 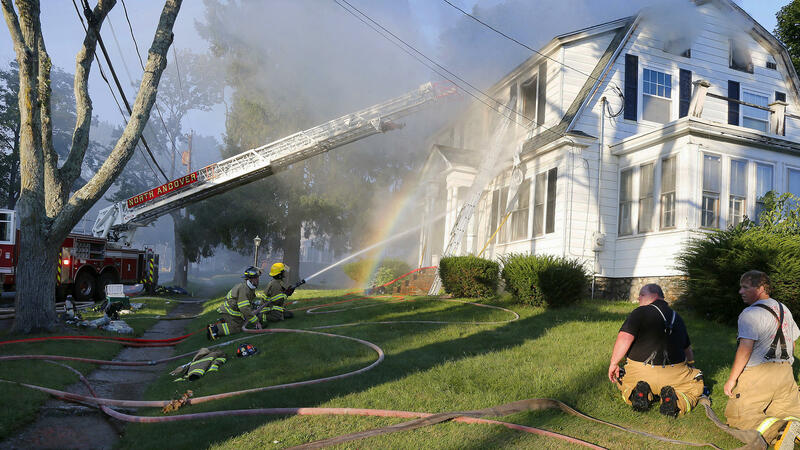 "[Almquist] was able to get into her house and grab her cat before fleeing to her folks' place, but with so many people evacuating at once she says the 15-minute trip took her two hours," Smith reports. "And now she's bracing for what may be days before she can go home." Teams — each with a police officer, a firefighter and a gas technician — are going door-to-door in the affected area, Smith says, checking on thousands of houses.